A 12 gauge shotgun firing 00 buckshot can be your best buddy in a self-defense situation. Load it with high-power hunting shells, though, and you'll experience heavy recoil and the risk of over-penetration. 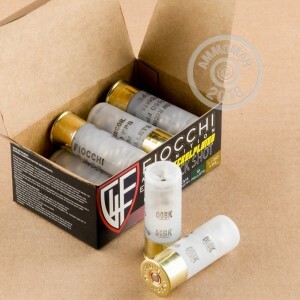 Try this light-kicking defensive load from Fiocchi instead! These shells fire a 9-pellet column at a muzzle velocity of 1,150 feet per second. This is about 15% slower than "express" hunting ammo and much more controllable when (as is often the case in self-defense scenarios) multiple shots are required to stop a threat. 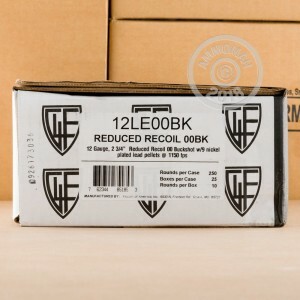 Buy this case of 250 shells or any other items totaling $99 or more from AmmoMan.com to get free shipping! I think these reduced recoil 00 buck shotshells are excellent for home defense if you own a 12 gauge. Normally the kick of shooting 00 buck throws your aim off between shots, but these rounds do not. You give up 3 pellets compared to the full power 00 buckshot but the reduction in recoil is significant. 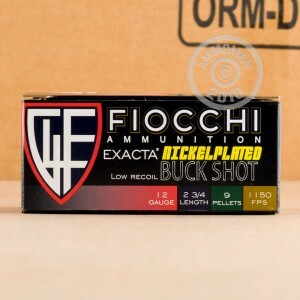 I compared these with other reduced recoil 00 buck shotshells and these are my favorite.